Are the health benefits of supplements as powerful as they say? 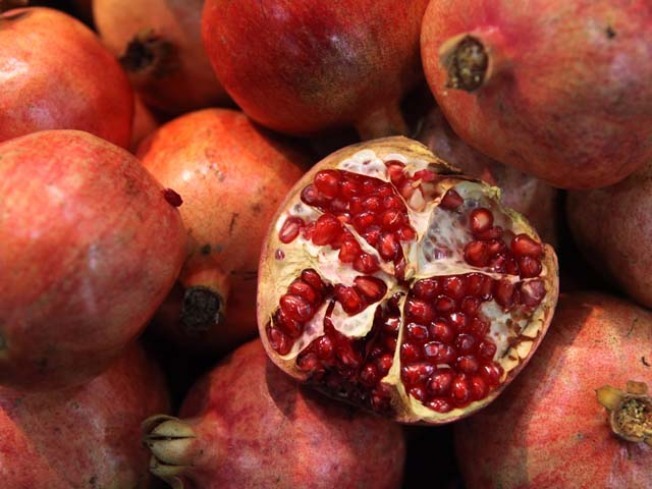 What happens when man starts messing with nature to jam pack the power of natural antioxidants, like pomegrantes, into a pill? Just flip on the television and ads will make claims of the power of antioxidants: Drink pomegranate juice or eat dark chocolate and you’ll fight aging! Pop these supplements and you’ll live for an extra 30 years! With the influx of ads, consumers are, no doubt, increasing their skepticism as companies market the promises equivalent to the fountain of youth by way of pills. Consumers should know how antioxidants work and their role in the grand scheme of things, before picking a side on the do-they-or-don’t-they-work-as-supplements debate. First off, as explained by Discovery Health, antioxidants are nutrients and enzymes that fight the effects of the natural process of oxidation and the potential damage done by free radicals. More specifically, oxidation is a natural part of the biological and metabolic process. Leave an apple out at night and come back the next morning to find that it has since browned. The oxidative process forms free radicals, which are unstable agents that can cause damage to cells, proteins and DNA (among more) as they seek to steal or drop off electrons. Antioxidants can play a role in preventing or reducing the effects of oxidation, thus counteracting the damage done by free radicals. Examples of antioxidant nutrients include vitamin C, beta-carotene, vitamin E and selenium. Vitamin C, for instance, seeks out free radicals in aqueous environments, such as in cells. The nutrient stabilizes others like vitamin E in an attempt to reduce free radicals. Antioxidant enzymes like catalase, glutathione peroxidase and superoxide dismutase, lessen the effects of oxidized, biological components and prevent the occurrence of future damage. Discovery Health adds that there are other compounds and nutrients, like uric acid and phytochemicals, that mimic the benefits of antioxidants. So, in terms of antioxidant supplements, are they really worth it? If antioxidants themselves are so effective, then shouldn’t they pack a powerful punch in a poppable pill? Various experts argue that high dosages of antioxidant supplements can counteract medications or have harmful effects. Studies additionally conflict with one another in results; some studies show antioxidant supplements as beneficial preventatives to diseases, whereas other studies show them as detrimental. One study, the Carotenoid and Retinol Efficacy Trial, tested former smokers and asbestos workers. One group was given a combination of beta carotene and vitamin A while the other took a placebo. The study was abruptly stopped when it was noted that there was a 28 percent increase in rates of lung cancer among the group members given supplements. The Food and Nutrition Board of the Institute of Medicine reports that nutrients should come from foods, only. By way of the Recommended Dietary Allowances (RDA), the board suggests the amount of nutrients people should consume per day, and it also provides information for the maximum amounts that people should ingest. Skeptics of antioxidant supplements (the American Heart Association, included) urge consumers to eat the rainbow, or to eat a wide variety of fruits, vegetables and legumes that vary in color. Peanuts, leafy greens, almonds and avocados are all packed with vitamin E. Sources of vitamin C include oranges, broccoli, peppers and strawberries. Papaya, kale and sweet potatoes are rich in beta-carotene. Christine Edward was initially enticed over the lure of antioxidant supplements. She suffers with the painful symptoms of fibromyalgia. At the advice of her doctor, she purchased an antioxidant supplement, Isotonix OPC-3. The product claims to be a powerful, food-based, natural antioxidant supplement made up of oligomeric proanthocyanidins, or OPCs. Isotonix OPC-3 also touts that its isotonic nature means that the supplement promotes fast and maximum absorption, so that consumers will experience quick and effective results. Did Edward see these results? Though everyone’s stance on supplements may vary, do note that there’s research out there that indicates the detrimental effects of the substances. Antioxidants are beneficial agents, but be wary when taking them in supplemental form. Just remember that, yes, it truly is possible to have too much of a good thing.